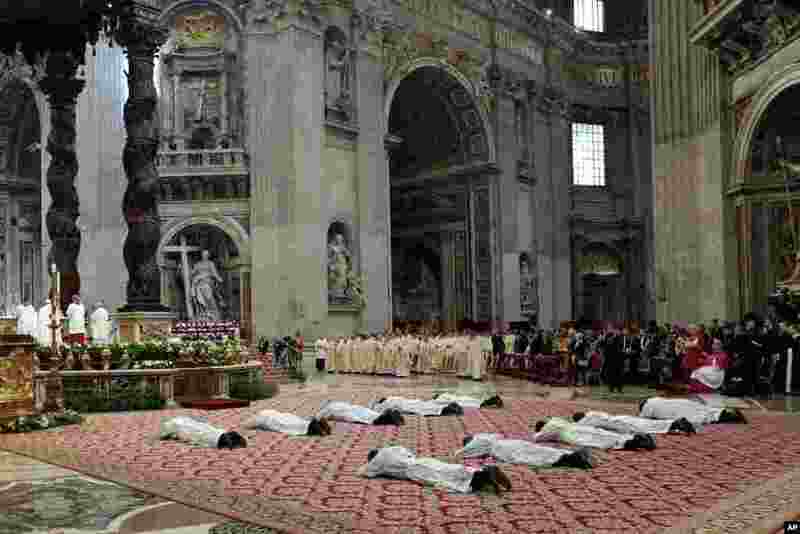 1 Ten new priests who were ordained by Pope Francis lay on the ground during a ceremony in St. Peter's Basilica at the Vatican. 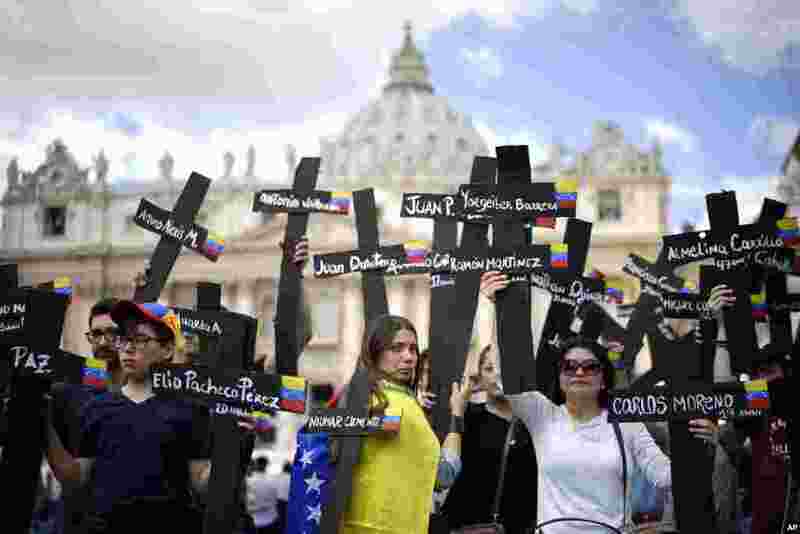 2 Demonstrators hold black crosses adorned with Venezuela flags and with the names of those who were killed in weeks of violent demonstrations calling on Venezuela's President Nicolas Maduro to step down, stage a demonstration in St. Peter's Square at the Vatican. 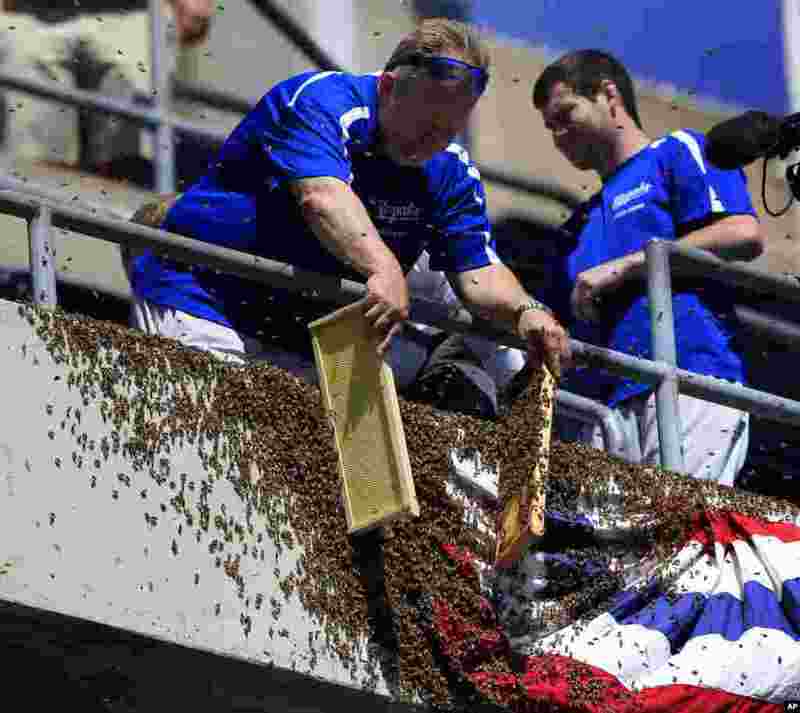 3 A ground crew member removes bees from bunting along the left field line before a baseball game between the Kansas City Royals and the Cleveland Indians at Kauffman Stadium in Kansas City, Missouri. 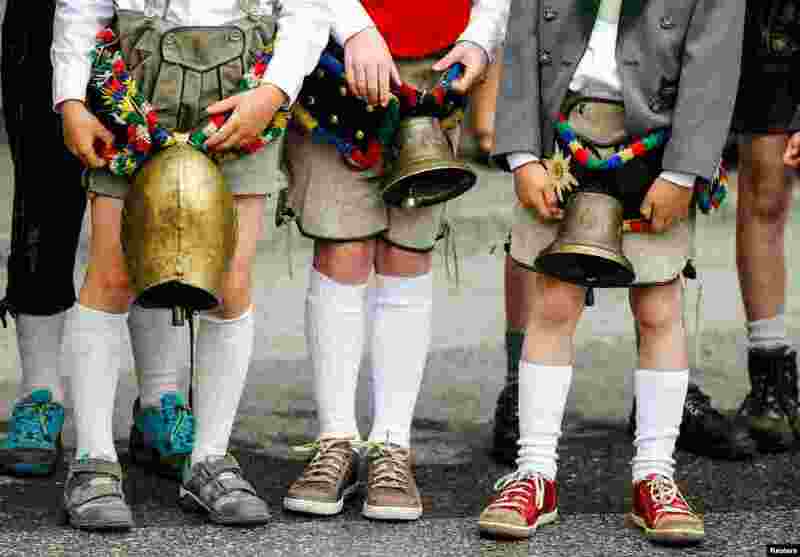 4 Children in traditional Tyrolean clothes attend a parade at the annual Gauner Festival in Zell am Ziller, Austria.